The BHRC letter of concern to the Bahraini authorities regarding the case of Mohammed Al-Tajer. I am writing on behalf of the Bar Human Rights Committee of England and Wales (BHRC). The BHRC is the international human rights arm of the Bar of England and Wales. It is an independent body primarily concerned with the protection of the rights of advocates and judges around the world. The Committee is also concerned with defending the rule of law and internationally recognised legal standards relating to human rights and the right to a fair trial. The BHRC is contacting you to express its concern and dismay regarding the arrest and detention of Mohammed Al-Tajer, a prominent lawyer who has represented many Bahraini human rights defenders and political figures over the last few years. At the time of his arrest he represented a number of detainees facing charges arising from the recent unrest. The BHRC understands that Mr Al-Tajer was arrested from his home on 16 April 2011, and remains in detention. Despite attempts to ascertain his whereabouts and whether he faces any charges we are informed that he is being held incommunicado. Moreover, Article 18 of the UN Basic Principle on the Role of Lawyers state that lawyers ‘shall not be identified with their clients or their clients’ causes as a result of discharging their functions.’ The ability of lawyers to act independently is directly linked with their clients’ right to a fair trial, as enshrined in the International Covenant on Civil and Political Rights (ICCPR), which the Kingdom of Bahrain is a party to. The BHRC would also draw to the attention of the Bahraini authorities to the rights to freedom of expression and freedom of association protected by Article 19 and Article 22 of the ICCPR. These provisions are reinforced by the Declaration on Human Rights Defenders, adopted on 9 December 1998 by the UN General Assembly. Article 9 of the Declaration on Human Rights Defenders provides that ‘everyone has the right, individually and in associations with others, inter alia to [...] (c) offer and provide professionally qualified legal assistance or other relevant advice and assistance in defending human rights and fundamental freedoms’. Moreover, Article 12.2 of the Declaration on Human Rights Defenders confers an obligation on States to ‘take all necessary measures to ensure the protection by the competent authorities of everyone, individually and in association with others, against any violence, threats, retaliation, de facto or de jure adverse discrimination, pressure or any other arbitrary action as a consequence of his or her legitimate exercise of the rights referred to in the present Declaration’. 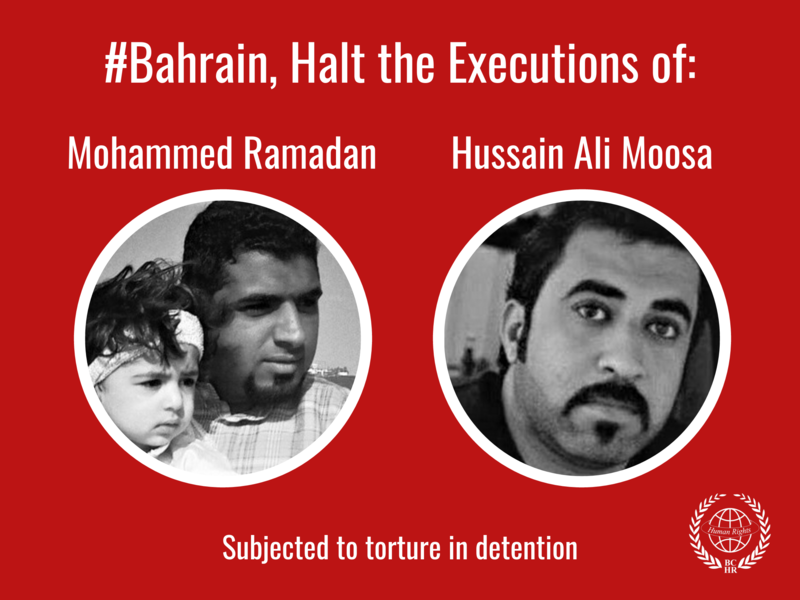 The BHRC therefore respectfully urges the Bahraini authorities to ensure compliance with its international obligations and principles of human rights. In particular, the BHRC requests the Bahraini authorities to guarantee in all circumstances the physical and psychological integrity of Mr Al-Tajer, and all legal professionals, in order to preserve the independence and integrity of the administration of justice. 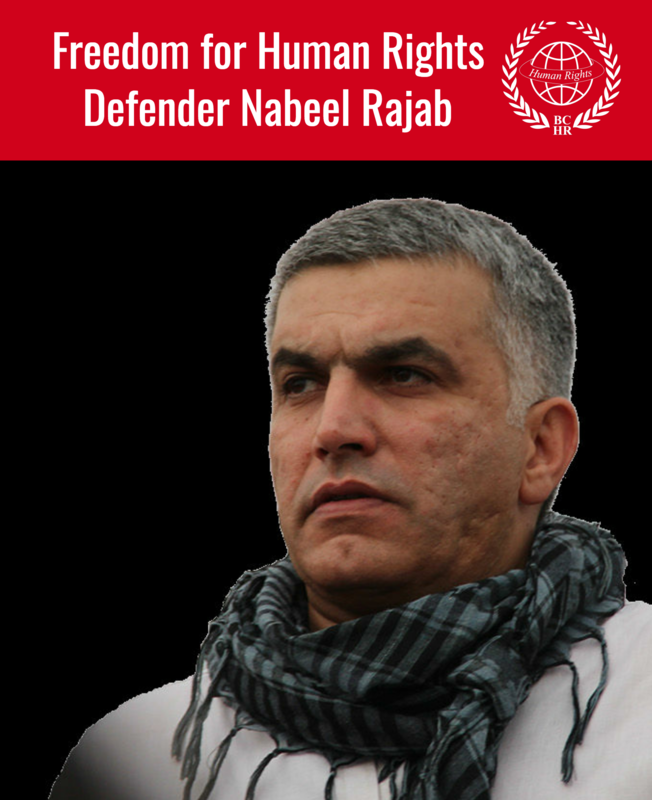 The BHRC would also urge the Bahraini authorities to release Mr Al-Tajer and put an end to investigations and other acts of harassment against lawyers defending clients involved in the protests in February 2011 and thereafter.